Dora is a 2003, 36.5 ft, Monaco La Palma DBD. She is a Class A with a V-10 gas engine and a GVW of 22,000 lbs, two slides, 1.5 baths, and had 14,000 miles when I bought her in Alaska in April of 2010. This is Lil’ Pea. 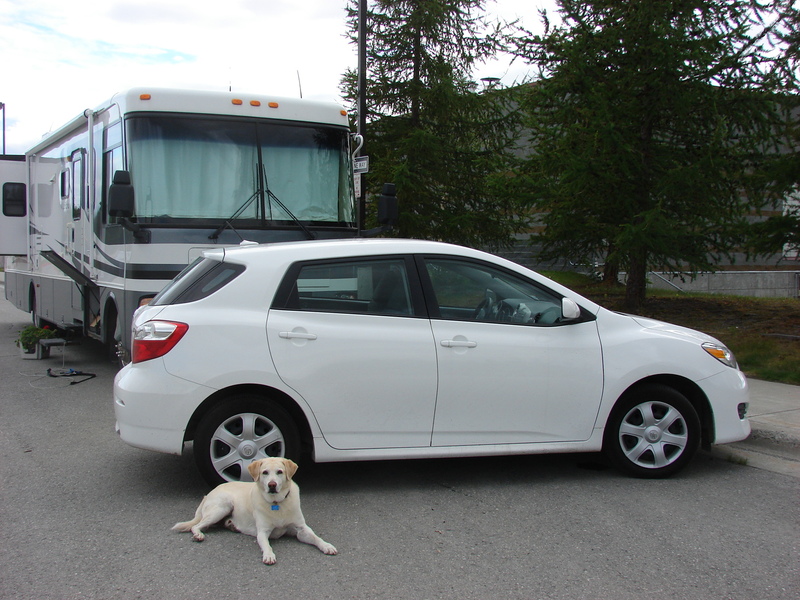 She is a 2009 Toyota Matrix weighing just over 2,800 lbs with a manual transmission and will serve as my tow car. That’s my yellow dog, Mosely, in front. My friend Sue suggested the apt name and it stuck. 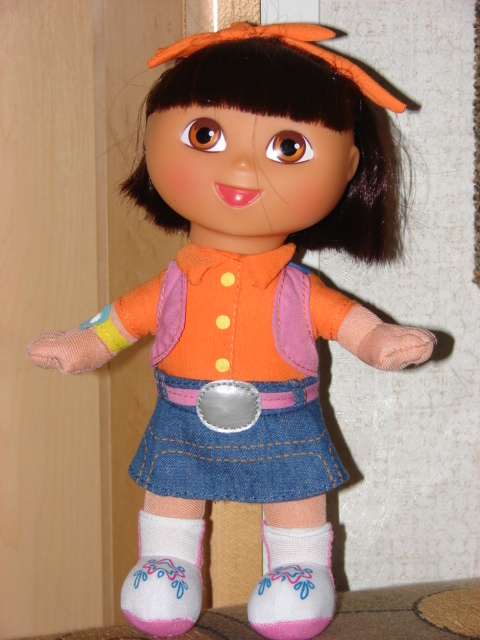 AND, drum roll please, when Sue and Iwere enjoying a going away breakfast yesterday, she gave ma a Dora doll! How wonderful! Now I have a mascot who I feel sure will enjoy some celebrity on the pages of my ongoing blog. Say hello to Dora The Explorer. Don’t you just love her little denim skirt with the topstitching? 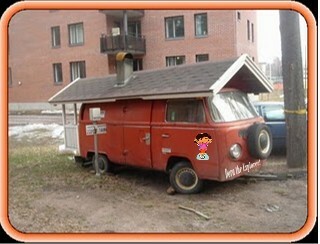 My same friend Sue, thinks she’s funny when she sends the following photo to people we know telling them it is Dora, my RV. Please note the Dora character on the door and don’t miss the back porch. Ha! 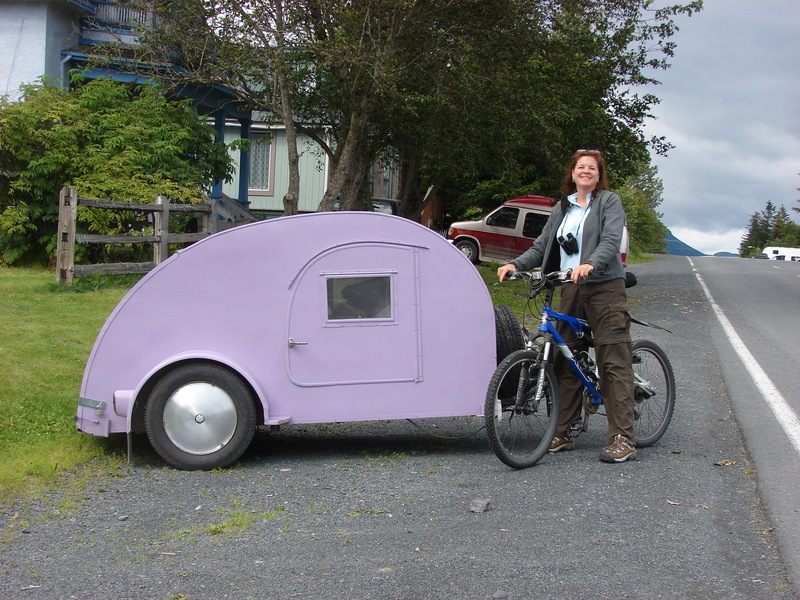 And here is a Dora alternative I saw while in Seward, AK last week. I guess if I ever want to downsize, this might be a fun option. 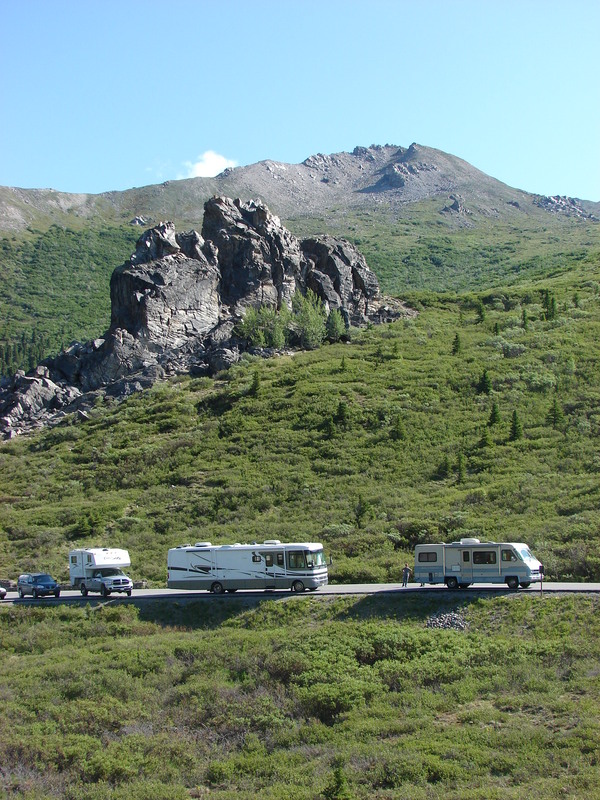 You got a new follower Marge…names Ernie Kapanke and neighbor of Suzanne Klimek….livin my dream thru you…..hope to meet you if you come to NC to see Suzanne….lots to ask you about Alaska..